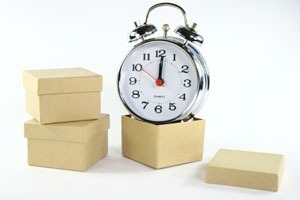 A common rule of thumb quoted all over the internet is to time box sprint planning to 1-2 hours per week in the sprint. So expect 2-4 hours for a two week sprint, 4-8 hours for a four week sprint. In my experience, I have found that this amount of time is more than enough as long as your team has some experience with group planning. If your team is new to group planning (or a majority of your team is new to it), expect to add an additional hour or two just to allow for learning discussions to take their course. Expect 3-5 sprints to allow new team members to really get the hang of sprinting and the planning process that goes with it. To some, 2-4 hours of planning time, an additional hour for a Retrospective, and also an hour for Review/Demo, seems like a lot to allocate for each team member every two weeks (assuming two weeks sprints). In essence, you have a full day of ‘Meetings’ for the team. My experience has been that the team can feel that this is a lot, but it really does pay off over the two week sprint, by ensuring all team members have a good understanding of all tasks and has participated in ensuring any unique knowledge a specific team member has about a task is shared and included in the estimation process. This also allows for the knowledge sharing necessary to allow team members to pick their tasks off the task board as the sprint progresses, allowing for a team ‘to do’ task board instead of a number of personal ‘to do’ queues. One other important thing to consider: Attempt to start your sprint, and therefore your planning sessions, on a day other than the start or end of the week (Mon/Fri). There is a natural build up to the end of a sprint, and it’s just not fun to end a sprint on a Friday or Monday given the weekend in between. This also takes into account that often team members will extend their weekend by taking a vacation day on these edge days and might miss a planning meeting more often. Teams I participate on have started sprints on Tuesday, Wednesday, or Thursday and have found those days have worked well. Next in this series: Bugs/Defects: How they fit into the process.